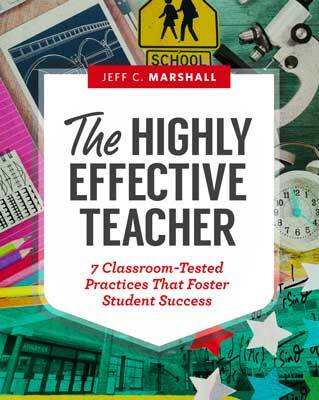 Join Jeff Marshall, author of the ASCD book The Highly Effective Teacher: 7 Classroom-Tested Practices That Foster Student Success, in an engaging webinar that will guide you through critical teacher actions that are within your control to improve and that influence student success, such as creating challenging, rigorous learning experiences and facilitating interactive, thoughtful learning. Marshall will help participants learn to identify where they are on the continuum of performance for each action. Join a conversation that will help to guide the transformation of your teaching practice as an individual, and as part of a department, school, and district. Jeff C. Marshall is a professor in the Eugene T. Moore School of Education at Clemson University and is the director of the Inquiry in Motion Institute with the mission of facilitating teacher transformation in K–12 mathematics and science classrooms through rigorous and authentic inquiry-based learning experiences.